Franklin, Benjamin. 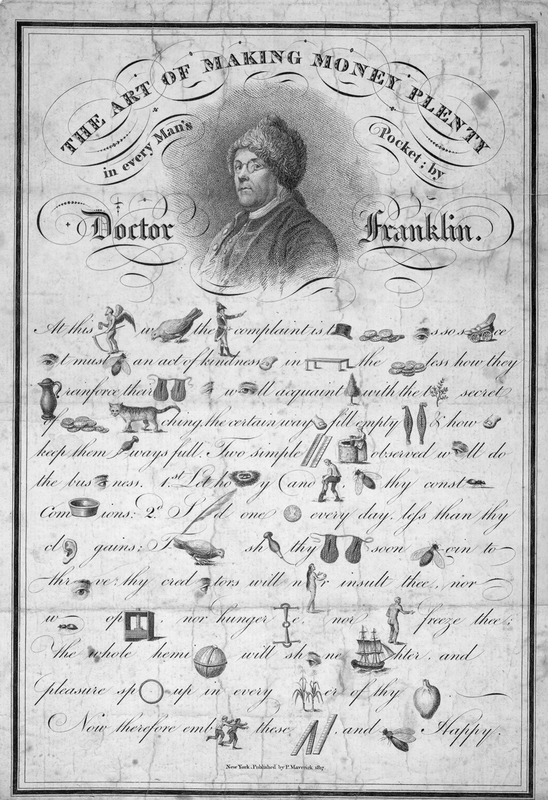 "The art of making money plenty in every man's pocket by Doctor Franklin." Published 1817. An American Time Capsule: Three Centuries of Broadsides and Other Printed Ephemera.